Keratosis Pilaris (KP) commonly referred as chicken skin is painless yet embarrassing skin condition. It affects the skin by forming small to large patches of rough red bumps on thighs, cheeks, buttocks or arms. Due to excess production of keratin, the hair follicles get clogged up forming bumps. They usually disappear with age, yet being patient is really hard. Despite being many methods, olive oil and coconut oil has been the best treatment with quick and effective results. 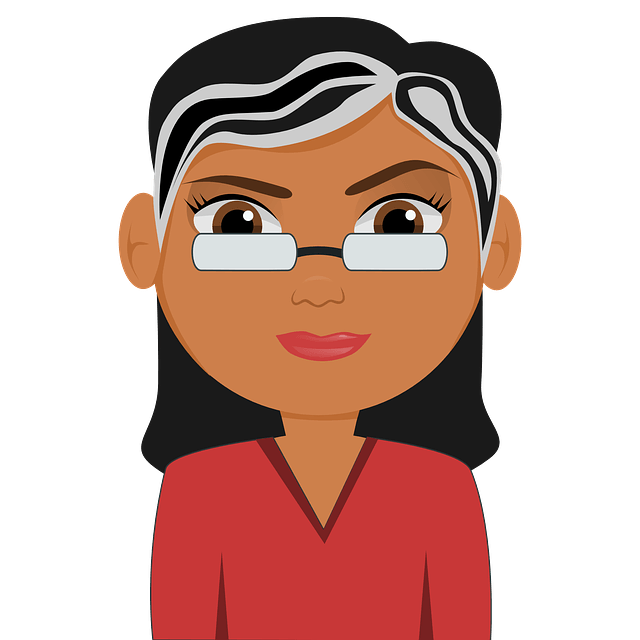 Is Coconut Oil good for Keratosis Pilaris? The lauric acid helps to break the buildup of keratin that clogged the hair follicles. The anti-bacterial property of coconut oil prevents the recurrence of keratosis pilaris. The anti-inflammatory property reduces inflammation and redness. It sanitizes and moisturizes the skin. The penetrating capability of it plays a major role in providing quick results. After reading the amazing properties of coconut oil that help treating keratosis pilaris. You may be now excited to use it. Here we have mentioned a detailed treatment plan you need follow daily. Exfoliation – Using a loofah, gently exfoliate the chicken skin with scrub made with coconut oil. This process ensures the affected area clean and ready for the treatment. It also helps to remove accumulated dead skin cells. Rinsing – This step is ignored by many but people who have used coconut oil with apple cider vinegar found great success. After exfoliating, rinse the area with apple cider vinegar and pat the skin dry. Massage – Gently massage coconut oil or any cream made with it for a minute over the affected skin. This step helps coconut oil penetrate deep in to the skin. Note: No matter, how big or worse the bumps may be, do not apply more coconut oil. Just a small dab will be enough. Apart from topical treatment, consuming 1 – 3 tablespoons of coconut oil also helps to treat keratosis pilaris. Usually you can observe size reduction in a week. After 3 – 4 weeks of regular application, you get back the smooth and radiant skin. Avoid using soaps, lotions and gels that contain paraben, sulphate, dimenthicone, added fragrances, mineral oils and other harsh chemicals. Take omega 3 or fish oil supplements. Avoid dairy and wheat products are they are known to worsen keratosis pilaris. Consume food which is low in glycemic index. Mix 2 tablespoons coconut oil (liquidated), 1 tablespoon of sugar. Stir the ingredients well and gently massage for few minutes. Prefer brown sugar instead of white sugar for better results. For extra benefits, add 1 tablespoon each of lemon juice and honey. Use this recipe daily for exfoliation. To a blender or food processor, add 2 parts of coconut oil, 1 part of Shea butter, few drops of essential oil and 1 teaspoon of vitamin E.
Whip the ingredients into fluffy butter consistency. Store this in an airtight container. Use a small dab of the mixture to massage affected area. Note: Coconut oil should be solid and cool. Use this coconut oil body butter to moisturize after exfoliation. Mix 1 tablespoon each of coconut oil, apple cider vinegar and few drops of honey. Apply this on the infected area. After few minutes, rinse it off with water. Alternatively, you can mix 1 1/2 cup each of coconut oil and apple cider vinegar and 1 tablespoon of soy lecithin. You can use this as a pack for 2 – 3 times a week. 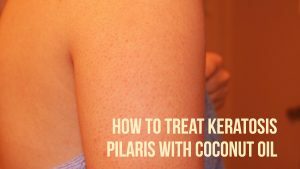 Which Coconut Oil is best for Treating Keratosis Pilaris? There are many brands in the market selling coconut oil. It is often confusing to buy the best one. Virgin, unrefined coconut Oil, extracted from fresh coconut is the purest form of coconut oil and best to treat KP. It contains strong coconut smell and taste. If you are busy person and have no time for preparing remedies, here are few products you can buy online or in the market. They have maximum natural ingredients when compared to commercial products. Tropical Traditions Moisturizing Lotion Unscented – Keratosis pilaris makes the skin dry and itchy. This lotion not only moisturizes the skin but also helps to reduce bumps. Pure Figi Spa Coconut Scrub and Organic Figi Sugar Polish – These scrubs are effective in reducing the bumps by unclogging the pores. They are made of cold compressed coconut oil and cane sugar. Nubina Heritage Coconut and Papaya Soap – Use this amazing regularly while bathing to reduce the bumps. Use a soft loofah or wash cloth for gentle exfoliation. Don’t use excessive pressure while scrubbing as it worsens the condition. Use a soft cloth to pat dry the affected area. Don’t scratch the bumps over the skin. Don’t use lotions, gels or soaps that have chemicals like parabens, sodium lauryl sulphate, dimethicone and other added fragrances. Don’t expose the affected area to heat or sun. Avoid going out in dry and extreme cold weather. Avoid scrubbing or scratching the affected area. Apply anti-septic creams which have glycolic acids or alpha-hydroxy acids. They help to reduce the production of keratin in the affected area. Improve your daily diet with vitamins, green leafy vegetables, fruits, nuts and cold water fish. We understand that keratosis pilaris is a very annoying situation but coconut oil is bang for your bucks. Try it and if you have questions feel free ask in the comments section below. My 15 month old son has been diagnosed with KP.its on his arms, thighs and buttocks. I have used coconut oil to moisturise his skin for a week now and haven’t seen any improvement and looks more bumpy and red, is this normal and how long should I use coconut oil to show a difference. ? You have to just leave it on to dry. Avoid rinsing off the coconut oil application. I have started using coconut oil because I think I have KP on my chest. The first few days I thought it was helping but now I think it is creating more little bumps. Should I stop?